That was a rad song. 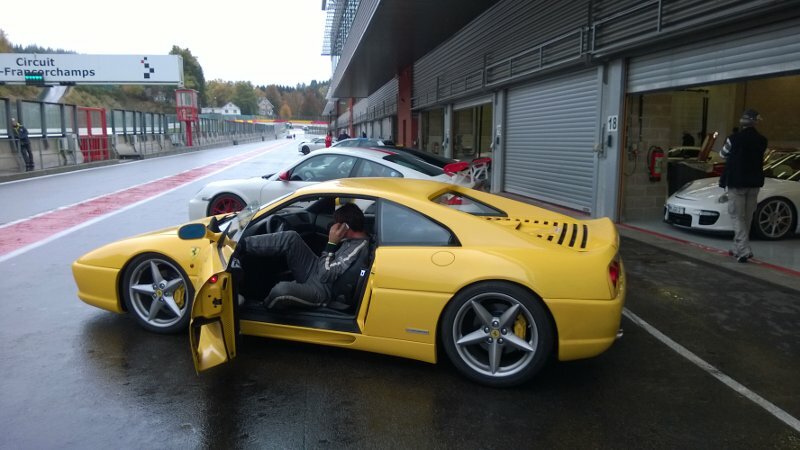 But what is even radder is the fact I got the chance slash privilege to drive a car round one of the world's most famous race tracks, Circuits de Spa-Francorchamps, in Belgium, seated behind the perfectly round and not very hot-hatch-like wheel of a very hot-hatch-like Renault Megane RS 265. 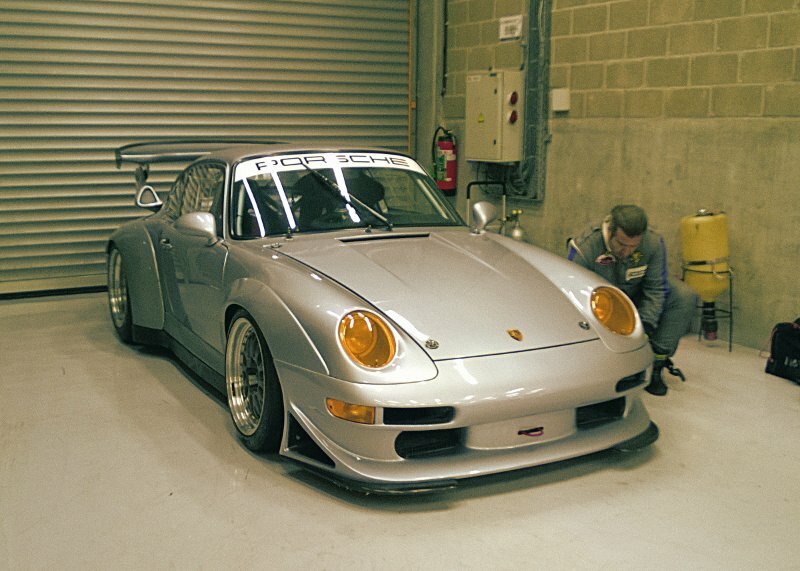 That you saw and read about in my related racing article some time back. We did not talk about the whole event. The drama, the charm and the multi-million-dollar experience that happened on that day, properly dubbed Munich Gentleman Drivers Day. 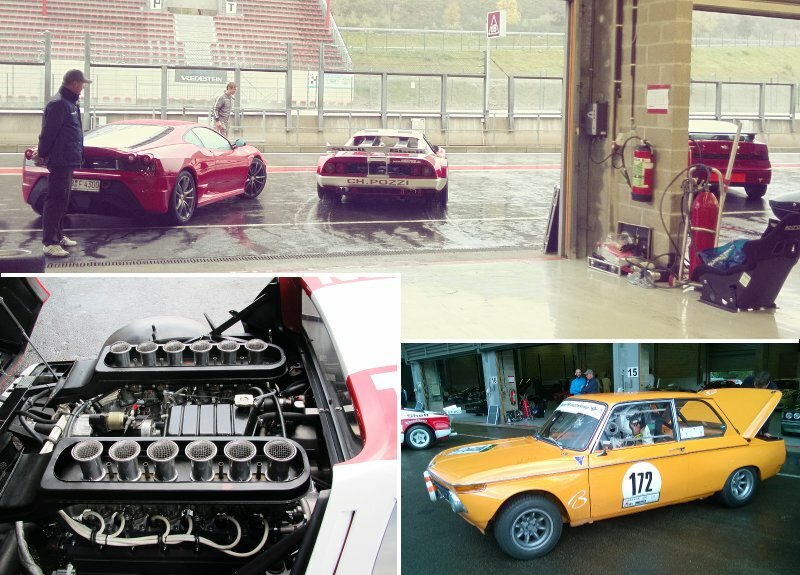 Indeed, this follow up article is less about my noob skills on the race track, and so much more about the cars, the legends and the aura that surrounded the place and the event. As a humble visitor, I'm reporting my childlike-in-heaven impressions. Follow me. A toy park for adult men. Please enter. 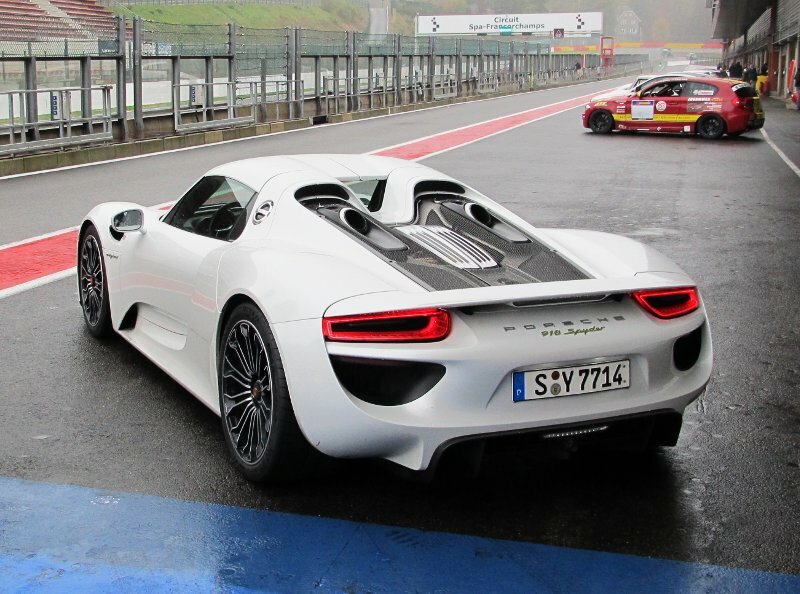 So the most obvious crown jewel would be Porsche 918 Spyder, a mid-engined plug-in hybrid supercar, with a combined output of 887 HP and roughly 1,500 Nm of torque. Price tag? Roughly USD850,000 or so, but who counts. 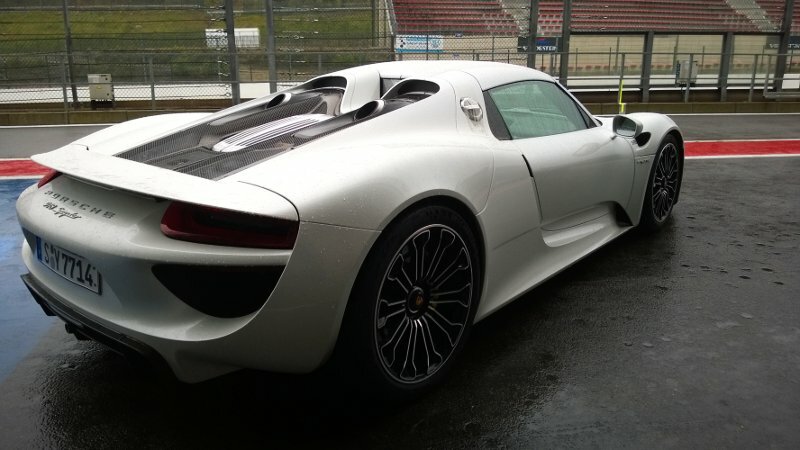 Indeed, it's an amazing piece of machinery, its glamorous hybridness notwithstanding. 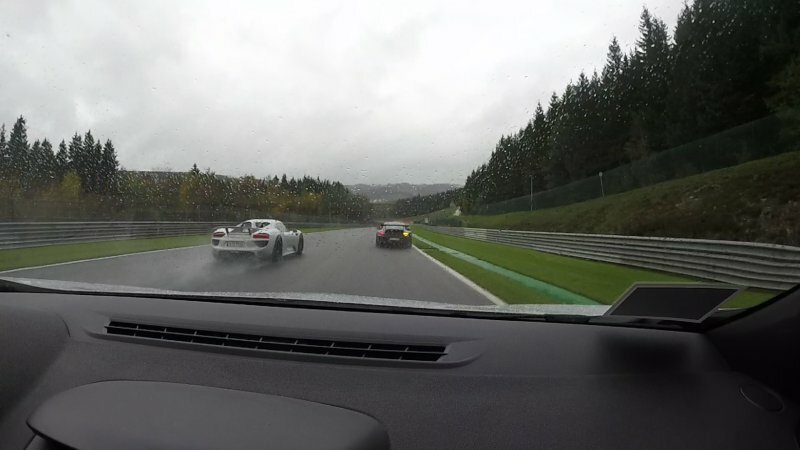 During my lapping round Spa, I had the crazy privilege of tailing the owner, who was taking it relatively slowly and safely, which is totally understandable given the sheer unforgiving power and value of this unique car, plus it was wet and rainy. But if you are patient, and you bothered to watch my Spa video in its entirety, then you have seen the action and all that. If not, you can do it again. Would you have the guts to drive it? This is what we call a paradox. Watch the video, I actually kept decent pace with that 20x times my car price monster. Now, you'd think nothing can top this one, but hey, this is just the beginning. 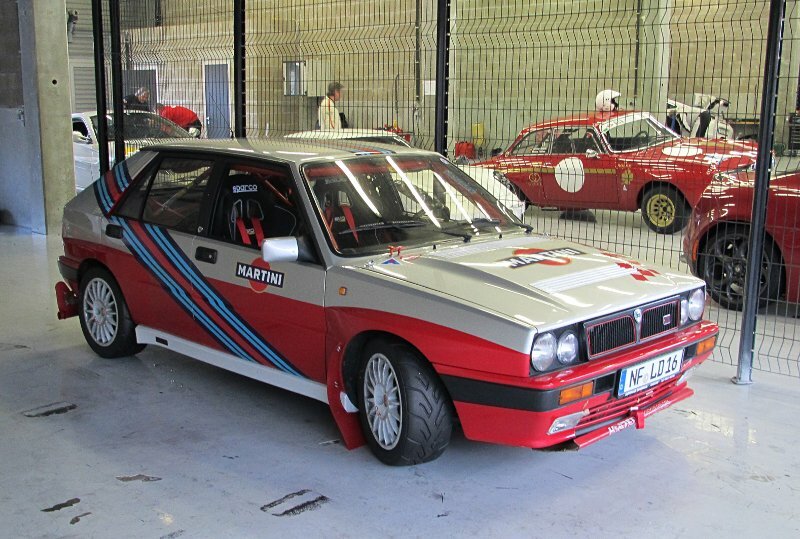 How about Lancia Delta Integrale? There's a total legend. Now, no disrespect to Spyder, but it's just a brand new, posh-tech and expensive vehicle, where Delta is a car with a track record longer than that of King Richard and Saladdin combined. However, it did not race that day, which is a shame. Now there's a car everyone wants. No worries. Surely the plethora of Carreras - that actually sounds cool - and the associated flock of Lambos and Ferraris more than makes us for the loss, right. Then, let's not forget the odd classic bird, some of which really tickle the trivia mind and others raise a mist of nostalgia off the petrol-smeared tarmac at the back of your brain. That's also a car I'd like to own. 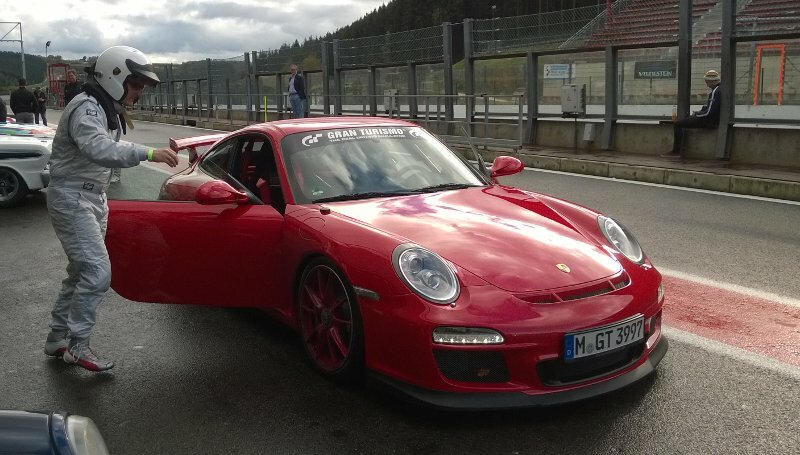 996? I would not mind a Huracan either. Some of the oldies inspire more than just awe. 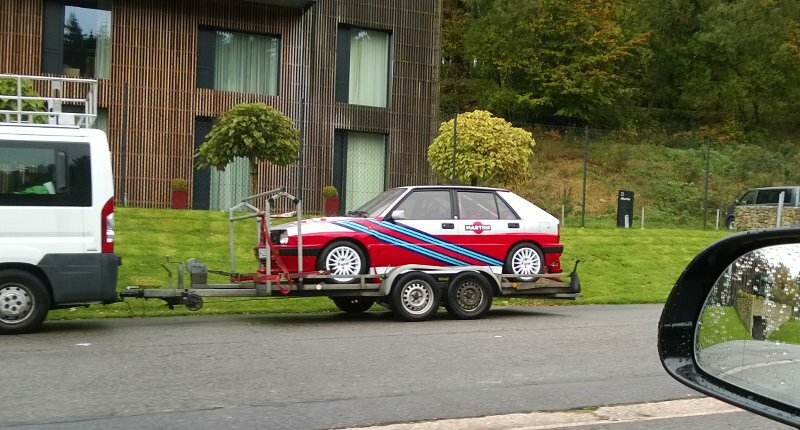 It's not just the artful decaling, the roll cages and the lionful exhaust pipes. It's the fact people are willing to snuggle into these ancient and uncompromising machines and go full analog. And you never go full analog, unless you have really big testies and a plenty of skills. But just imagine the noise. Terrifying, exhilarating. Tons of great stuff, eco-factor not a lot! 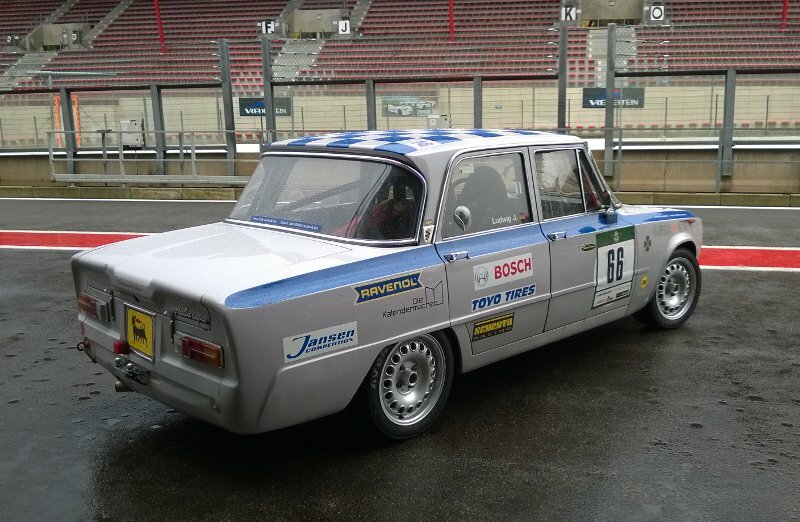 Alpha Romeo Giulia Super, lovely jubbly. I do not even know what it is, but it looks majestic! However, for me, the most spectacular piece of machinery was an original Lancia Stratos. Holy banana. 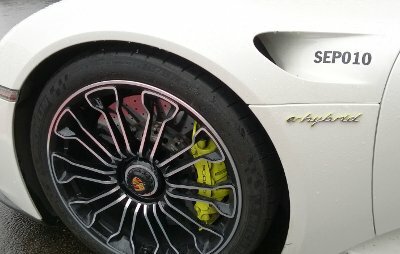 I did not have the courage to ask the owner what engine he was sporting there, but it was definitely something totally badass. 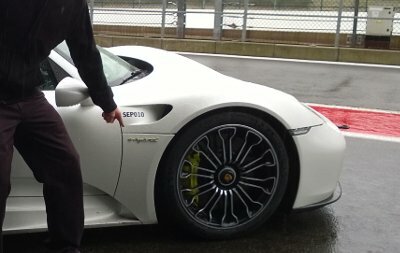 The noise, well, it sounded better than any other vehicle on the track, by far. Whenever it went by, there was an instant moment of awe. Not only is it a legend, it's also a lethal, uncompromising car that demands the best of the best in the driver. So you can imagine what everybody felt. For those about to race, we salute you. Speaking of people, everyone was really nice. There was immediate sportsmanship among everyone present, decent courtesy and real enthusiasm for one another's work, toys and passion. The rich folk all proved to be genial, laid back, highly courteous and patient, and they did not mind the plebeians sitting down in their expensive cars and taking pictures. 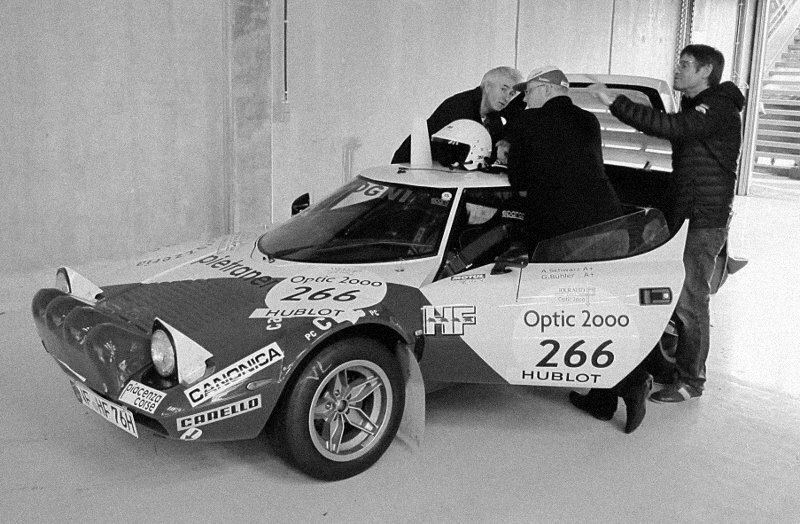 Especially since we had a lady present on our team, and as a rare sight as Stratos, she got an extra bucketload of attention. Not many women race or attend these events, so it's quite nice to see ladies partaking in what is normally considered a man's sport slash hobby. 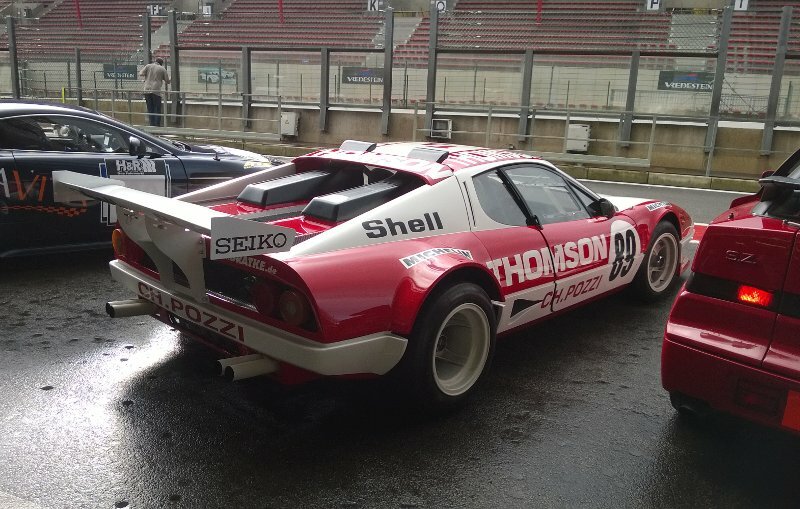 Especially when they don the racing overall and step down into their Ferraris. Yup, a boy's fantasy right there. Do I sound like a noob? Yes I do. Some are taking it slow. Others are taking it fast. Some were really in a hurry. And everyone was having fun. Shooped, or rather GIMPed, into a single pic, of course. So there we are. That was an exciting, spectacular day. Uplifting. Gives you a sense of direction and motivation for what you should do with your money, once you start having loads of it. Serious loads. Apparently, wealth brings about calm. Now, on a more serious note, being at this famous location and enjoying all the modern marvels and classic jewels, breathing in all the excitement, drama and fumes from partially burned high-octane fuel, well that was grand. How many people can say they were overtaken by a 918 Spyder on a track, and that they saw a Delta and Stratos, barely two hours later. 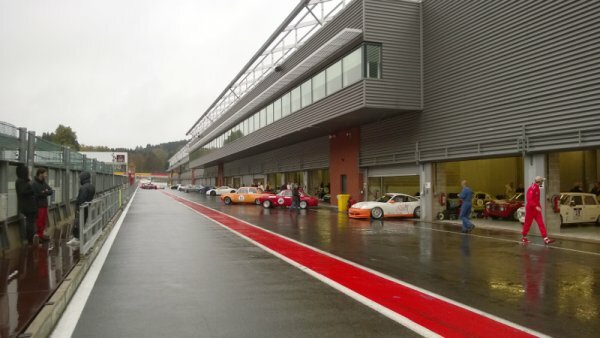 At Spa no less? The truth is, it does not take much to partake in this fabulous adventure. Mostly desire and courage to be there. No one is going to laugh at you. People with big hobbies love like-minded enthusiasts. It's a safe place. Much like Linux.